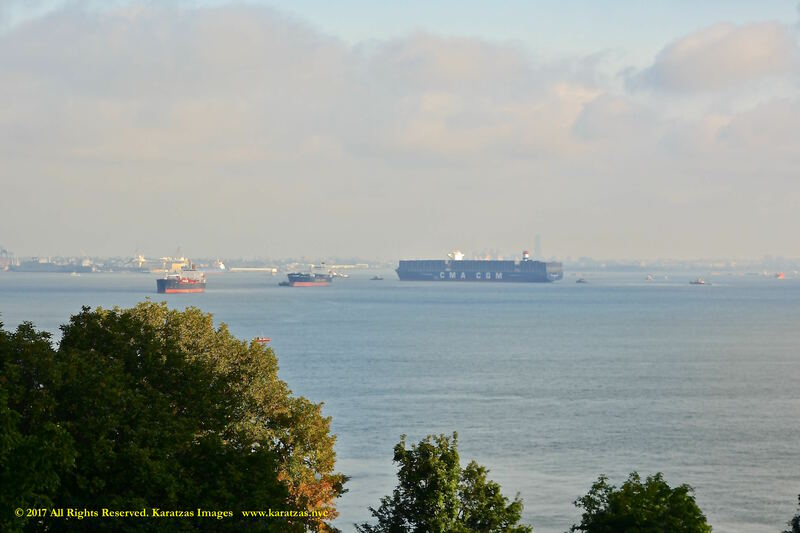 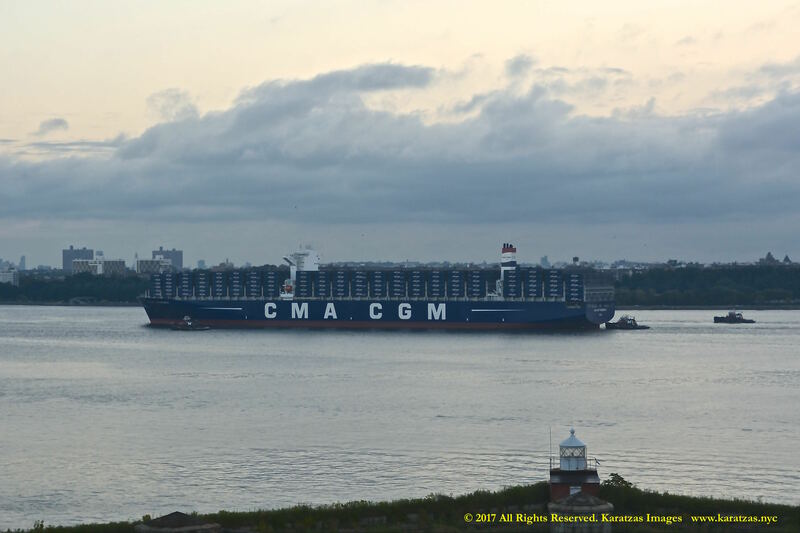 Posted on September 7, 2017 by Karatzas Marine Advisors & Co. 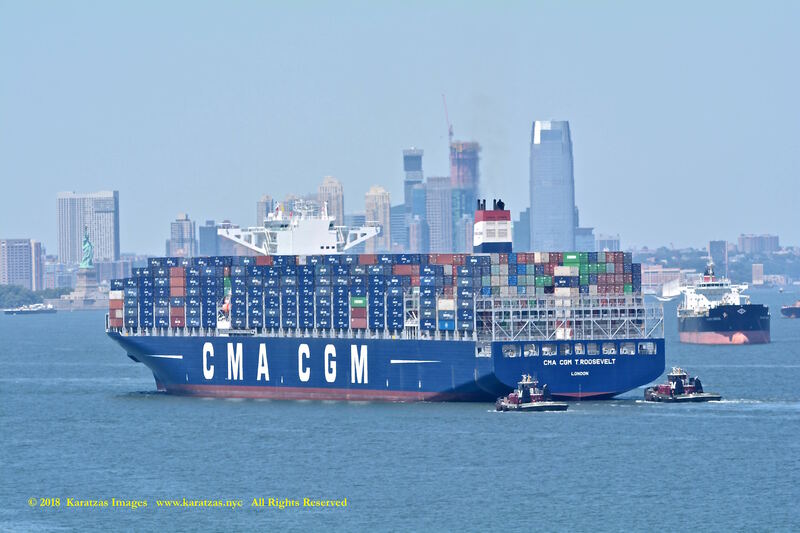 VESSEL SPECIALIZED DETAILS: Teu Capacities of 14,414 Total, 9,230 Homogeneous and 2,800 Reefer, Ship is able to transit the newly expanded locks of the Panama Canal (Neo-panamax @ 14,000-teu). 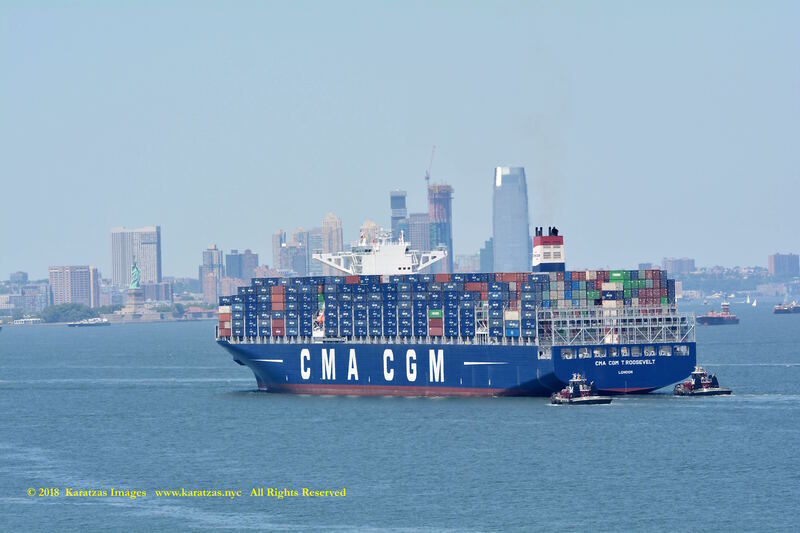 The neo-panamax containership MV ‘CMA CGM Theodore Roosevelt’ is making her maiden voyage to the East Coast of the United States. 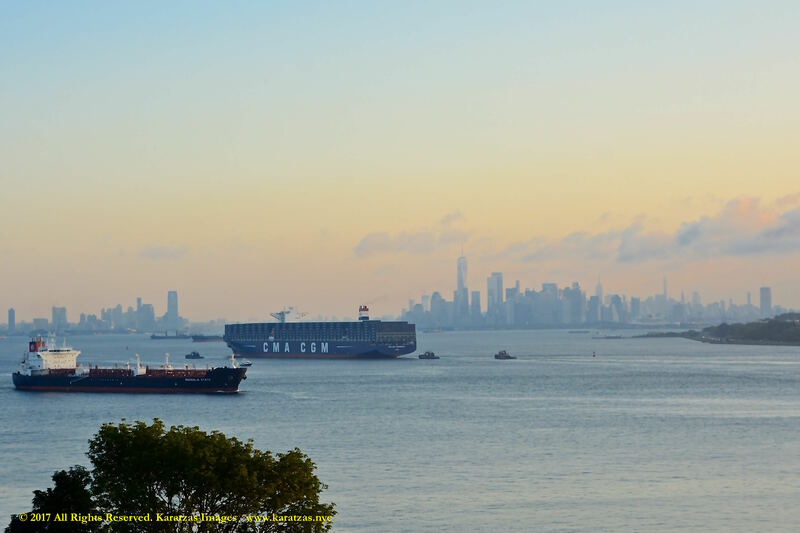 At 14,414 teu capacity, the vessel belongs to the new asset class of containerships with maximum capacity to cross the expanded locks of the Panama Canal. 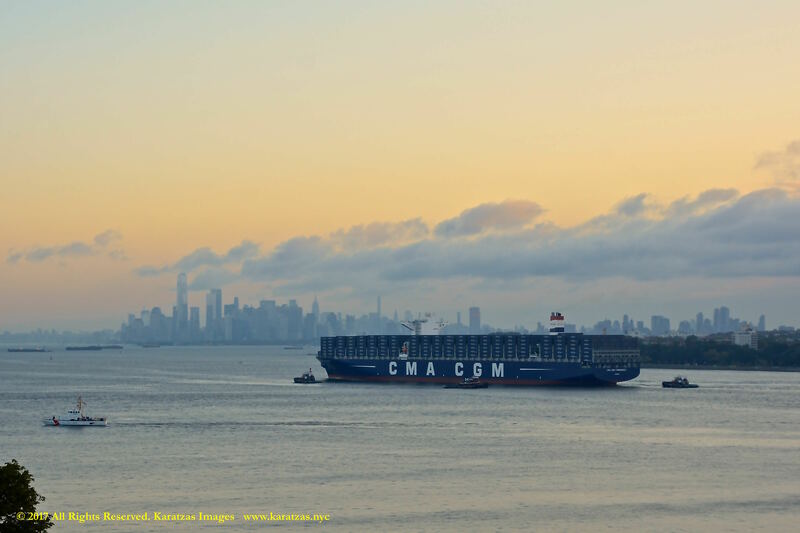 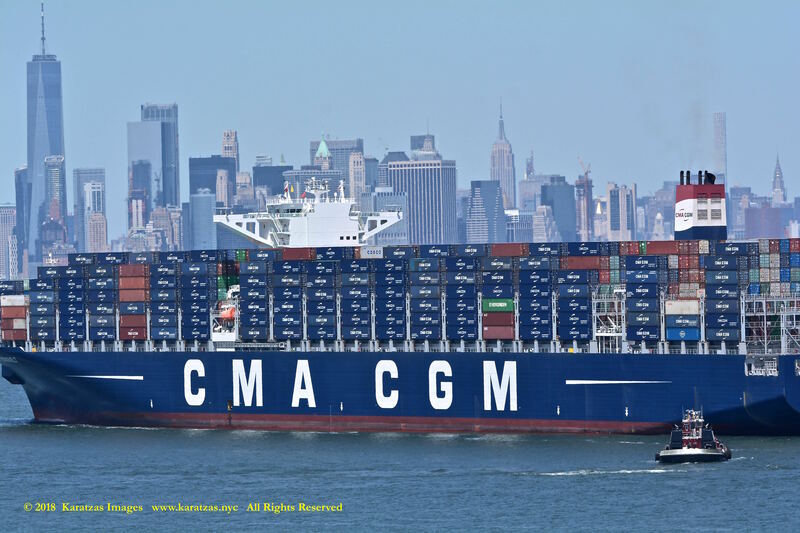 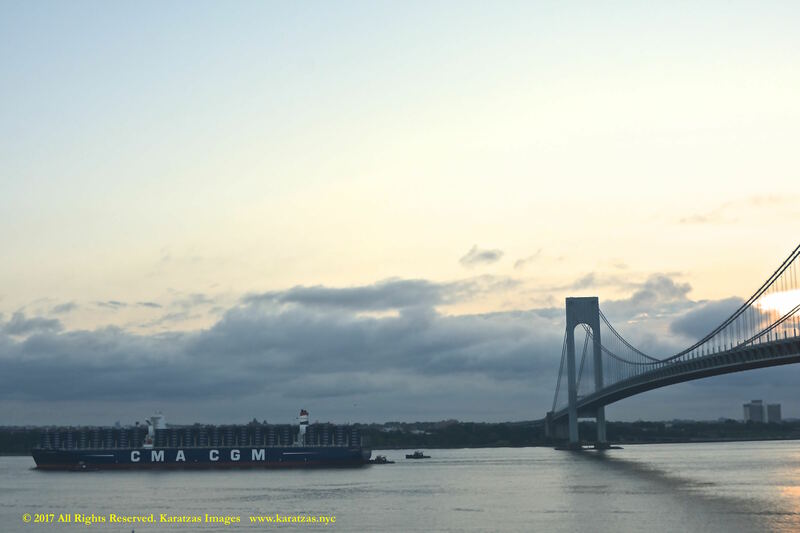 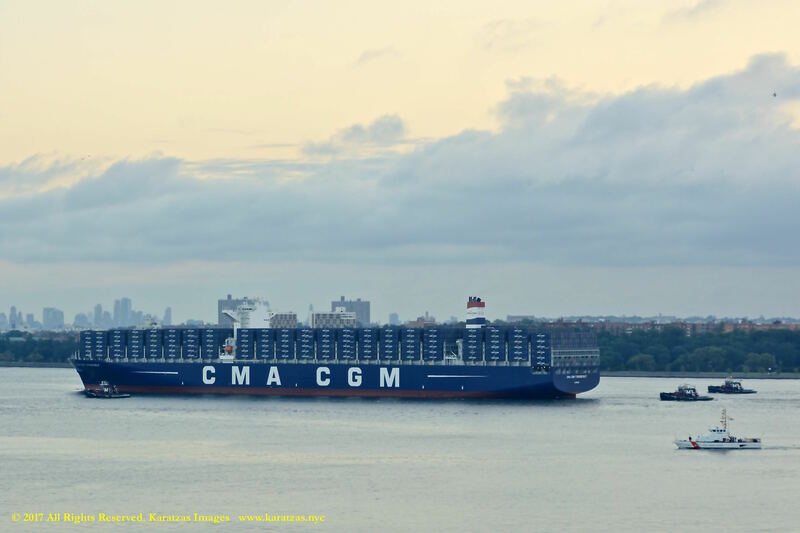 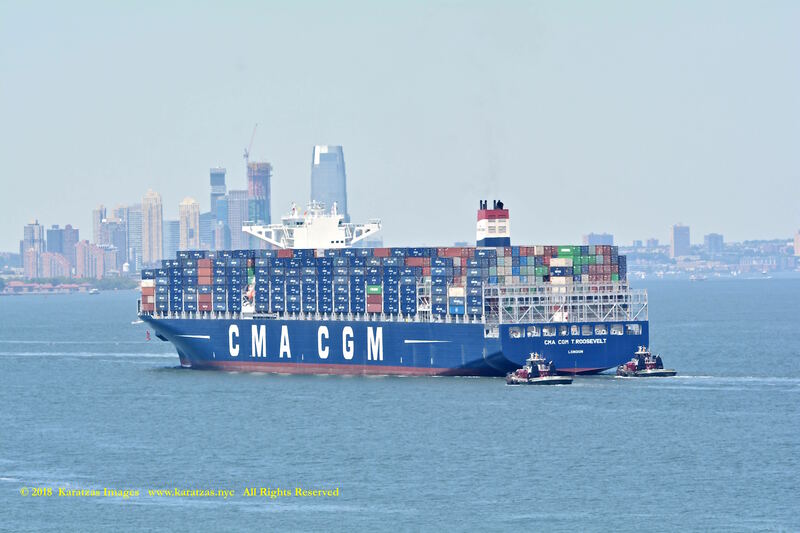 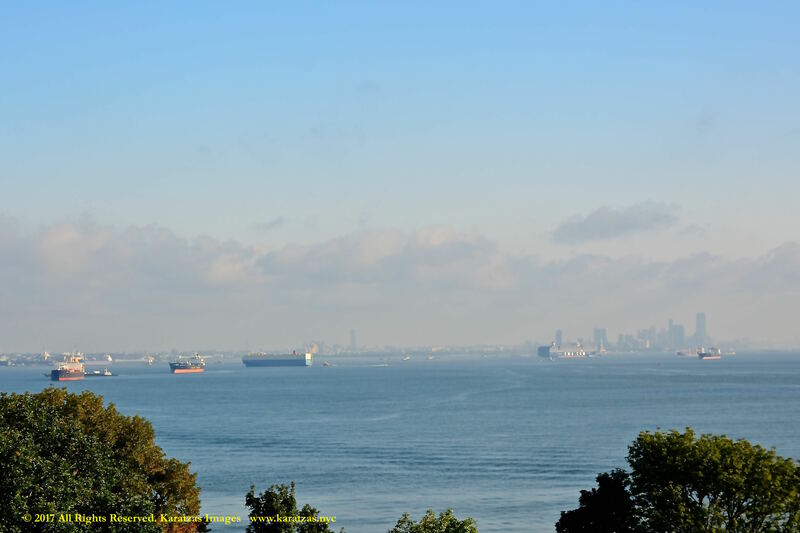 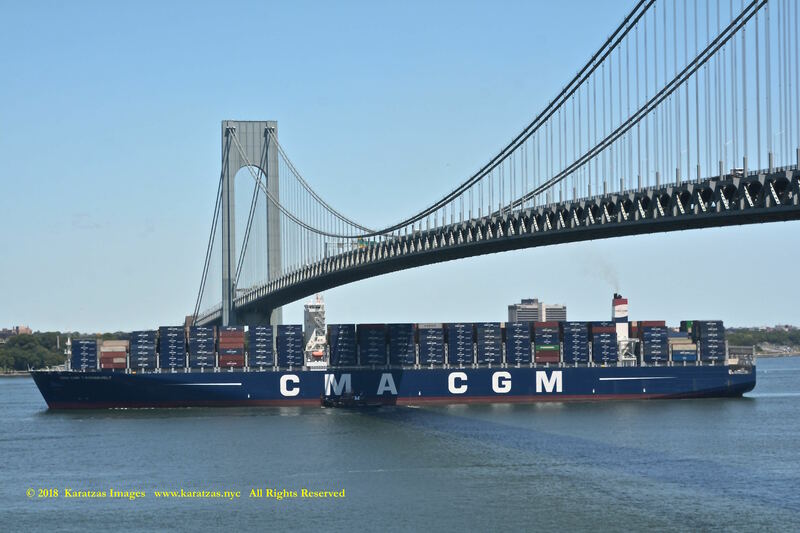 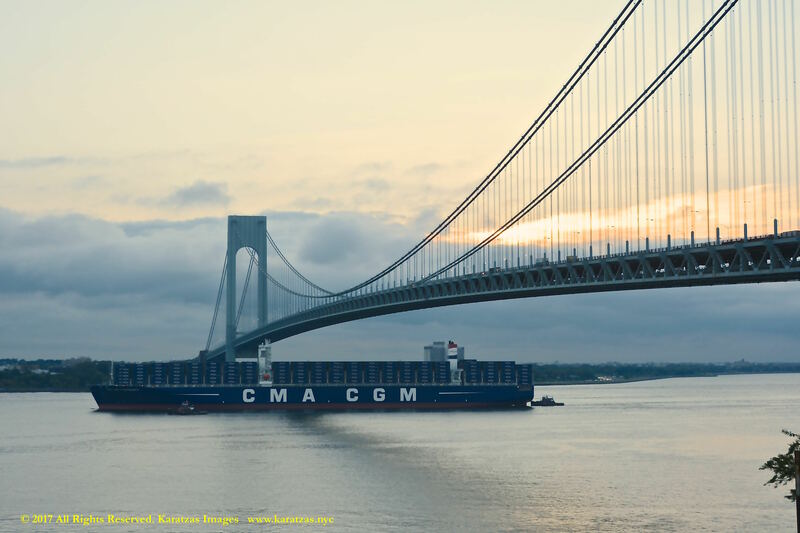 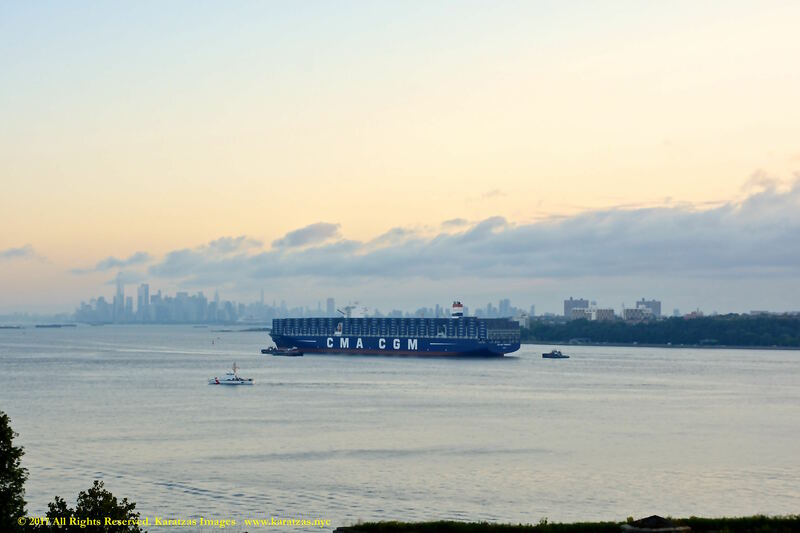 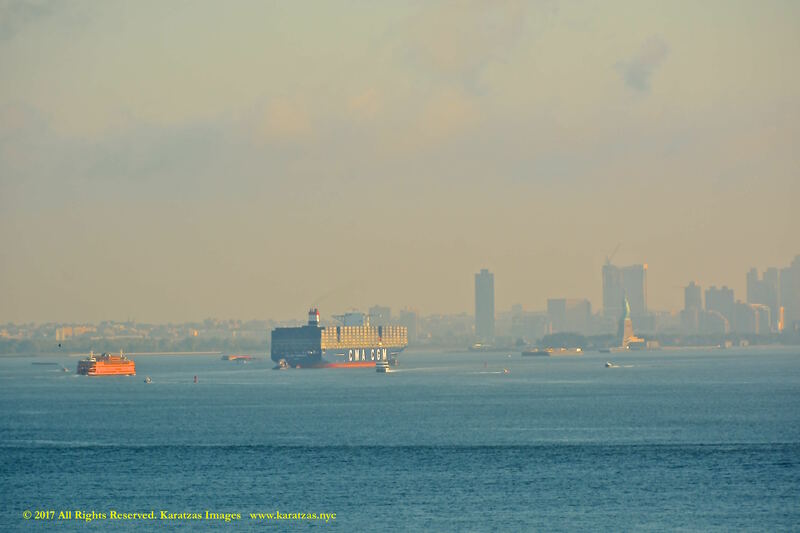 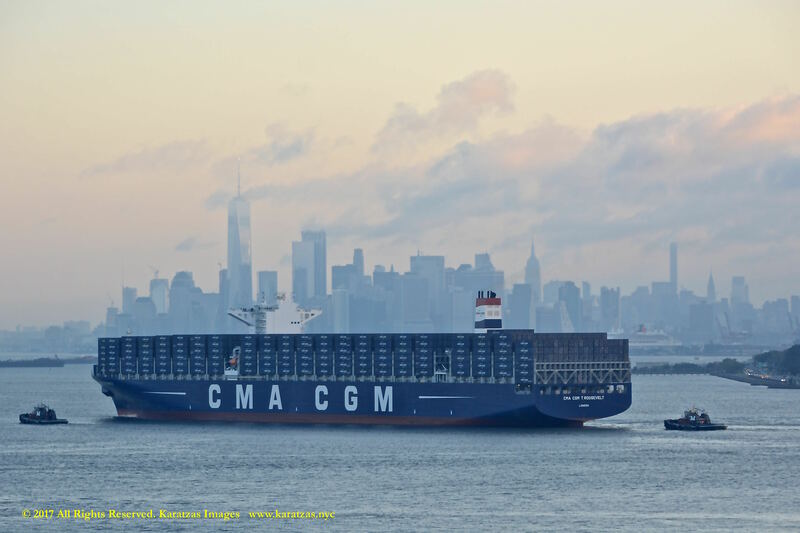 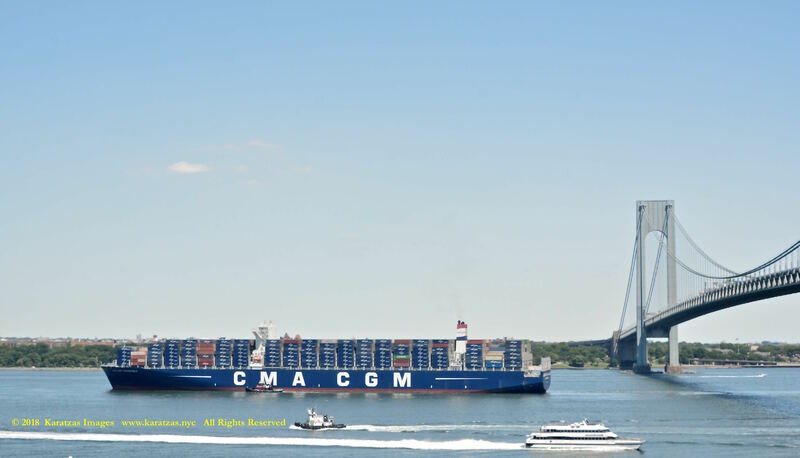 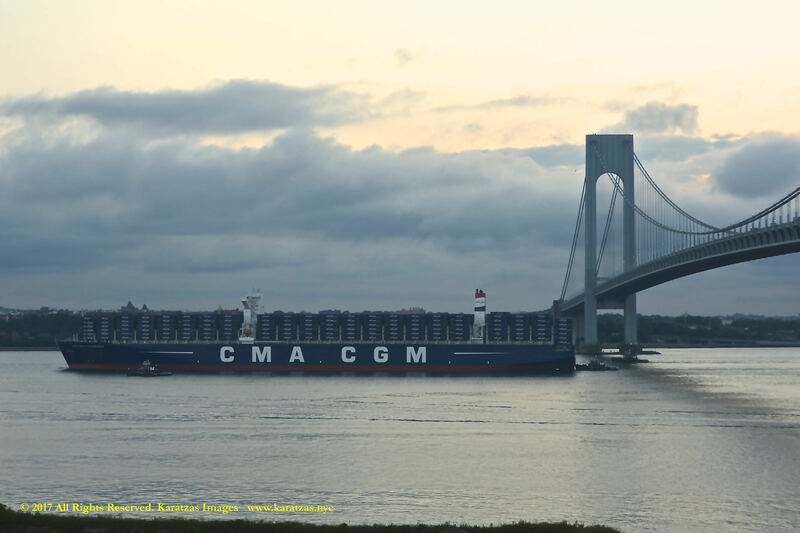 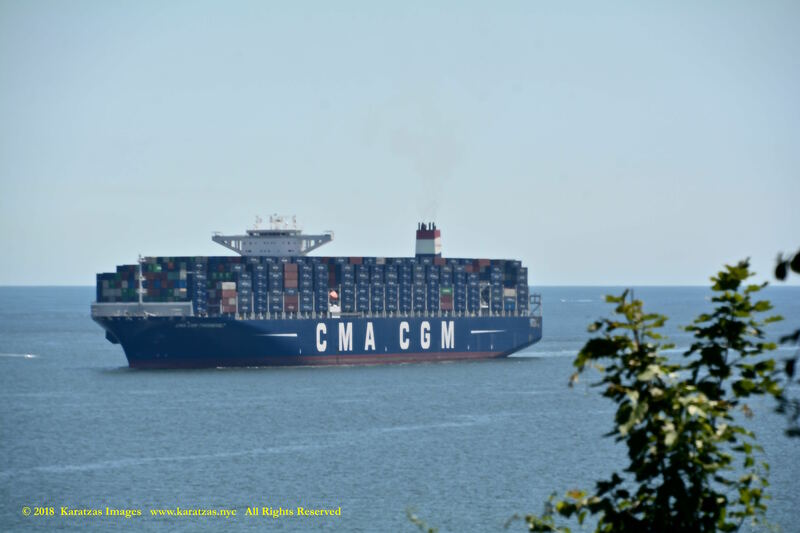 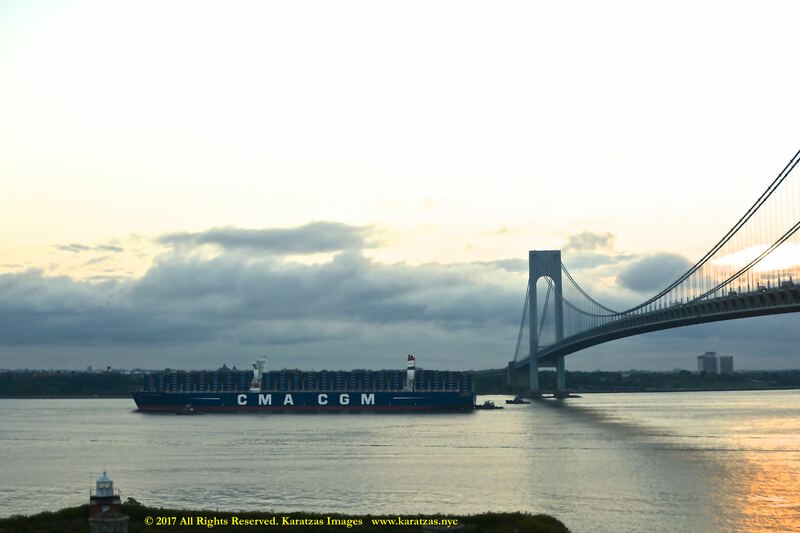 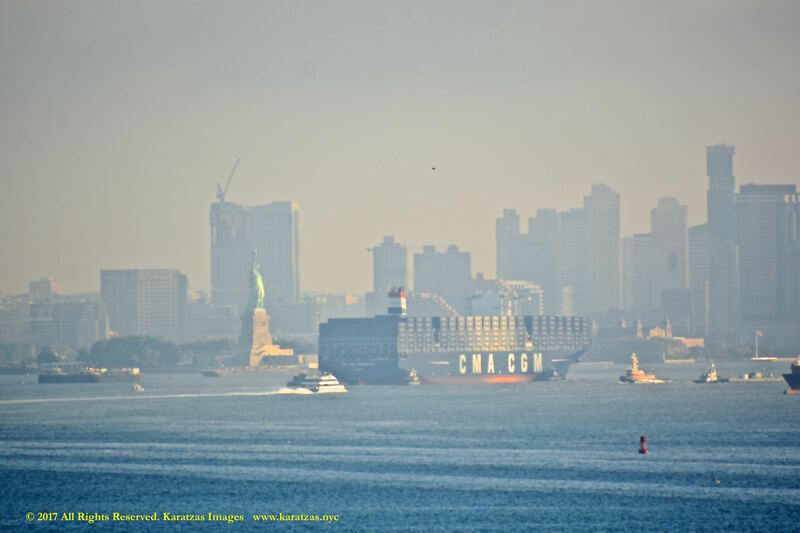 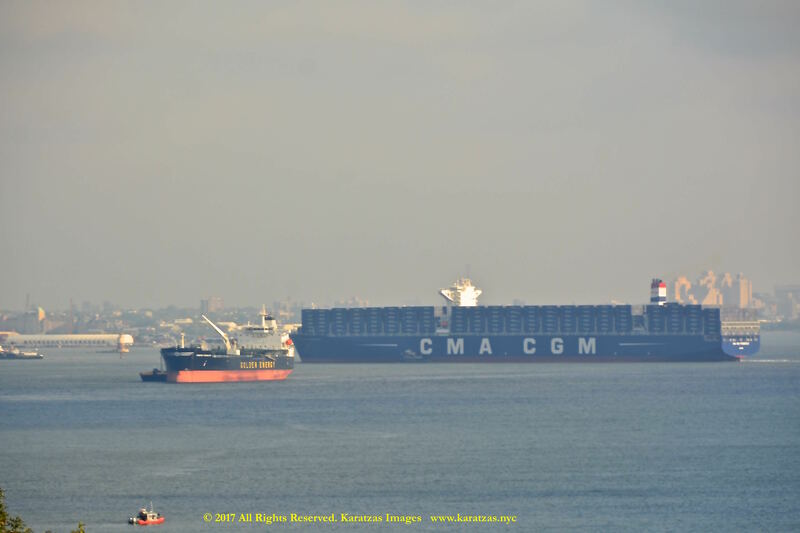 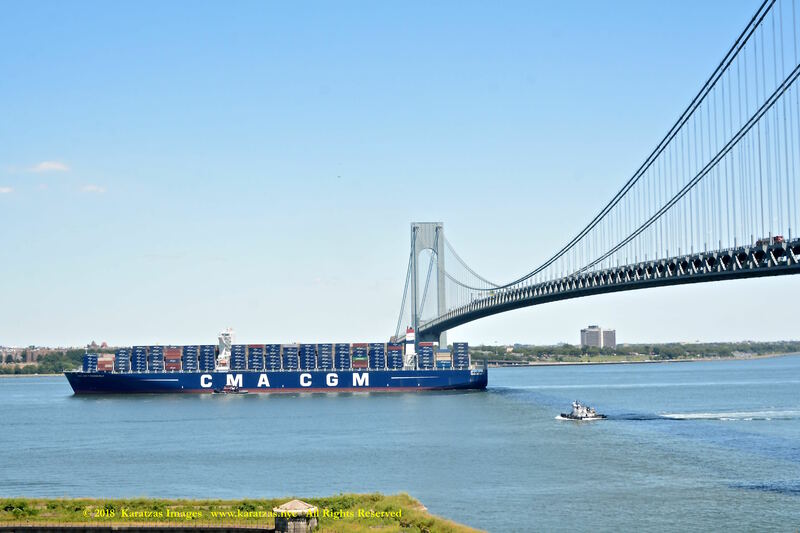 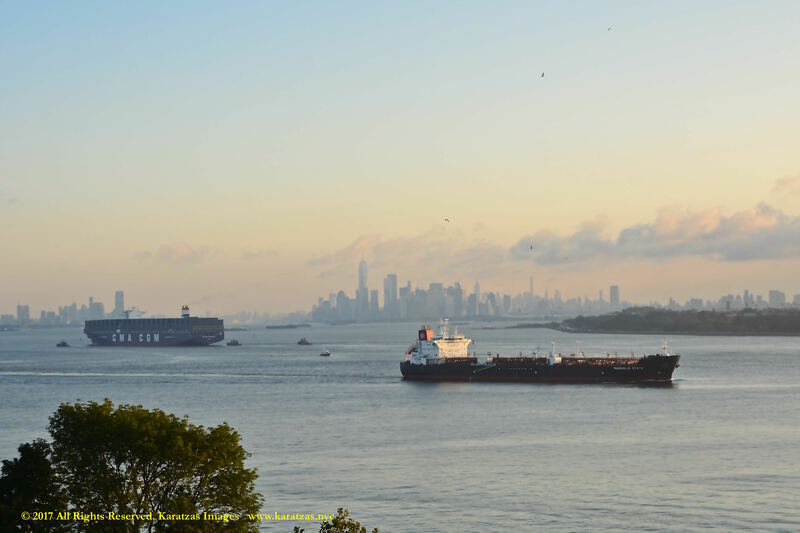 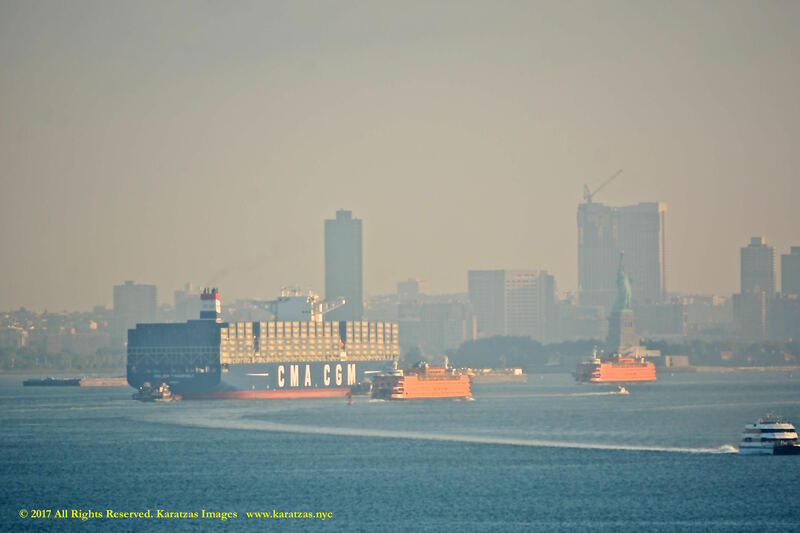 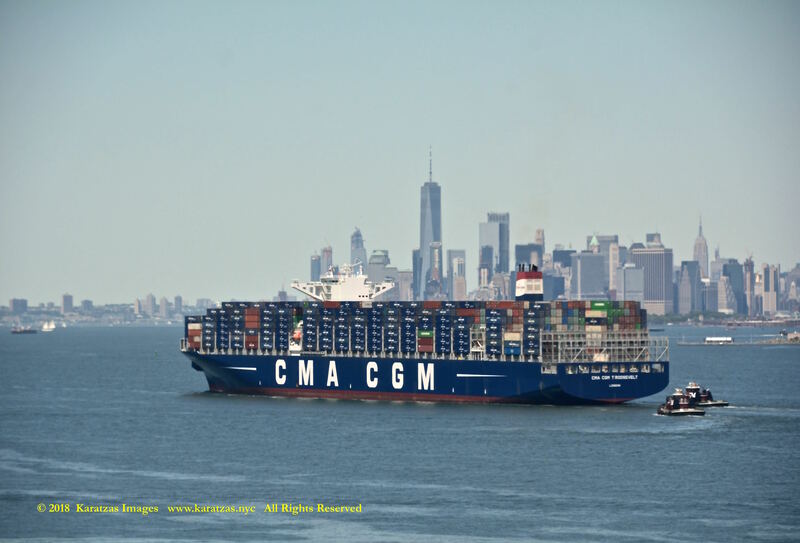 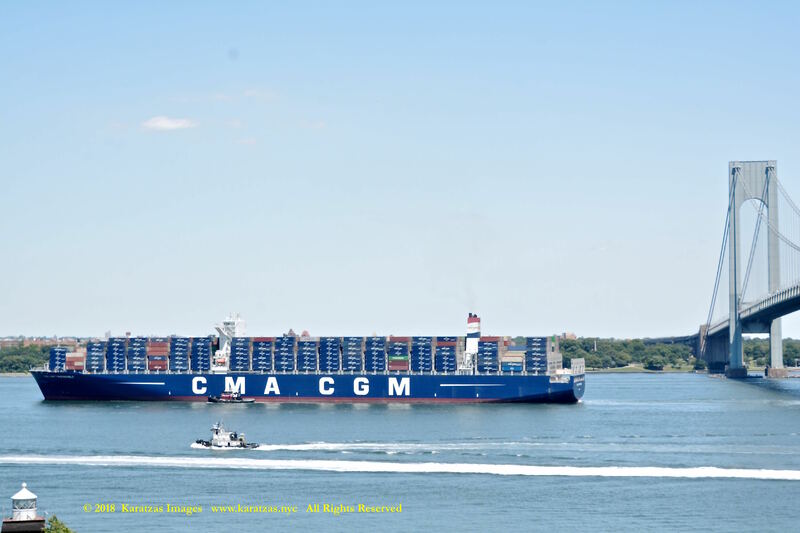 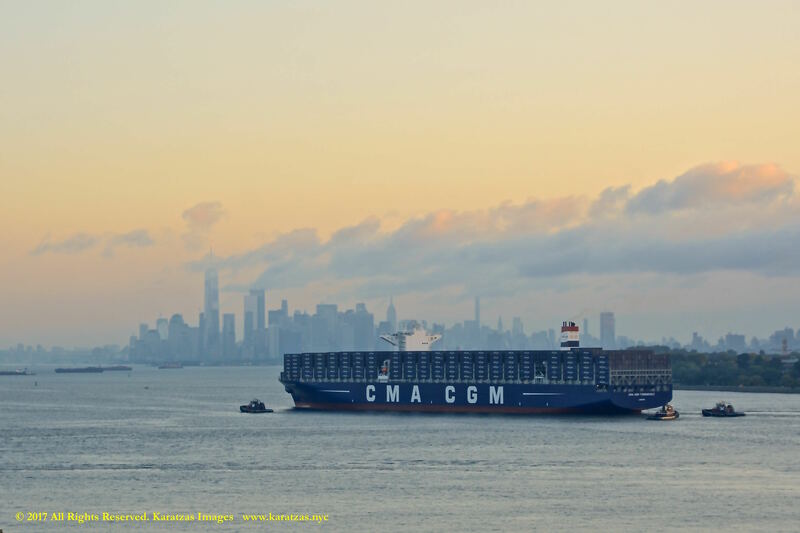 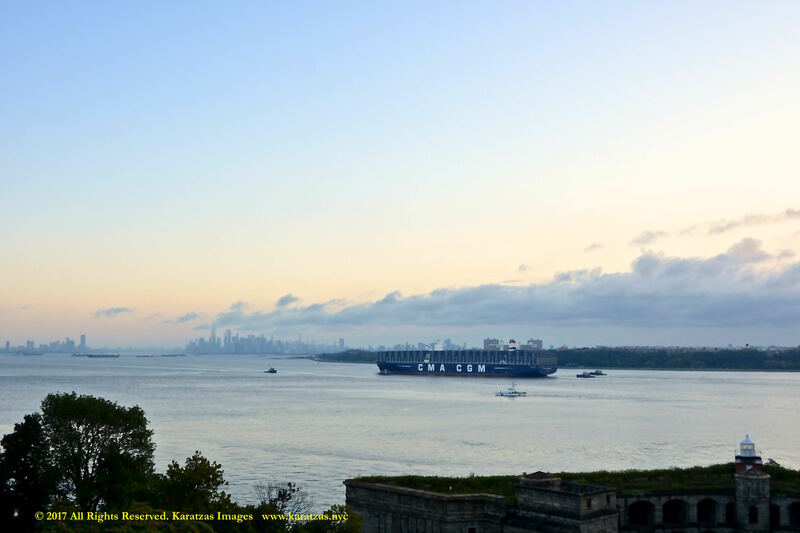 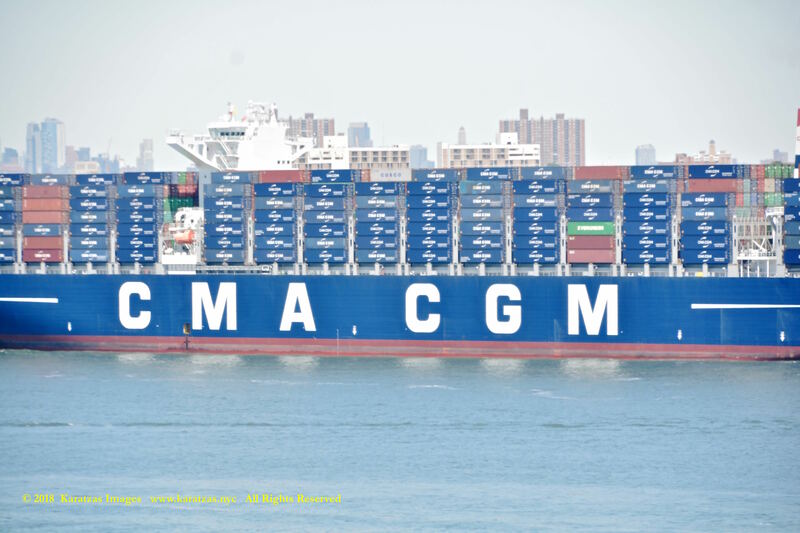 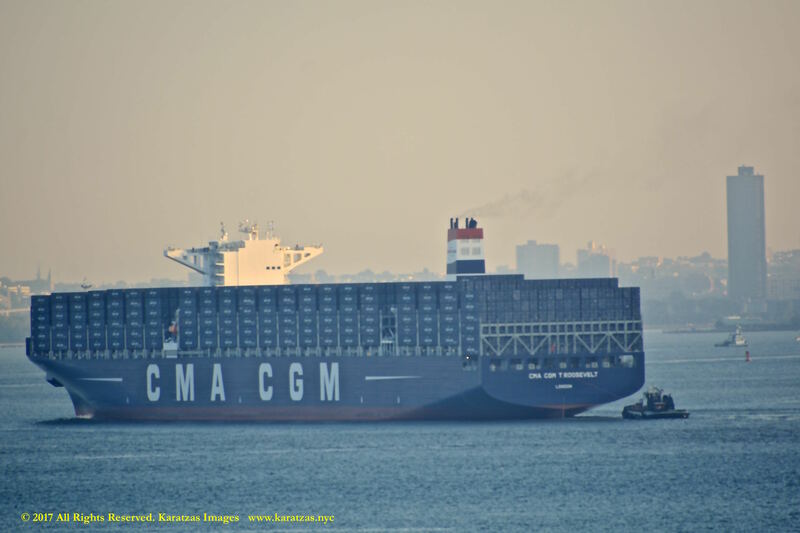 The call of the containership MV ‘CMA CGM Theodore Roosevelt’ to New York and Port Elizabeth in New Jersey is historic, as she is the largest vessel to pass under the raised Bayonne Bridge and the largest containership to call ever call New York and New Jersey. 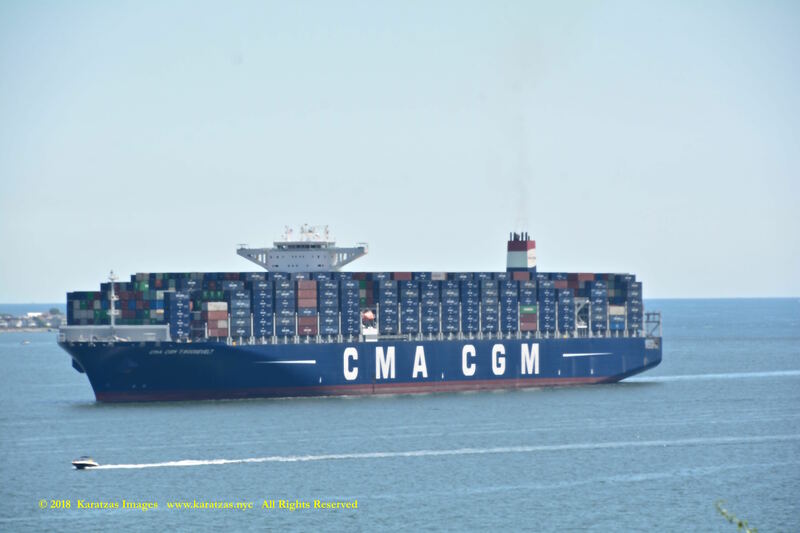 In June 2017, the 10,000-teu containership MV ‘ZIM Antwerp’ was among the first post-panamax vessels ever having to utilize the bridge’s new airdraft and raised roadway. 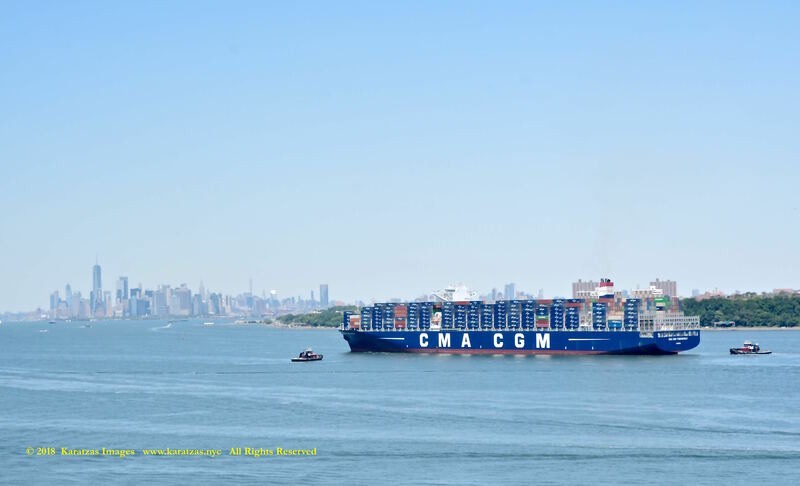 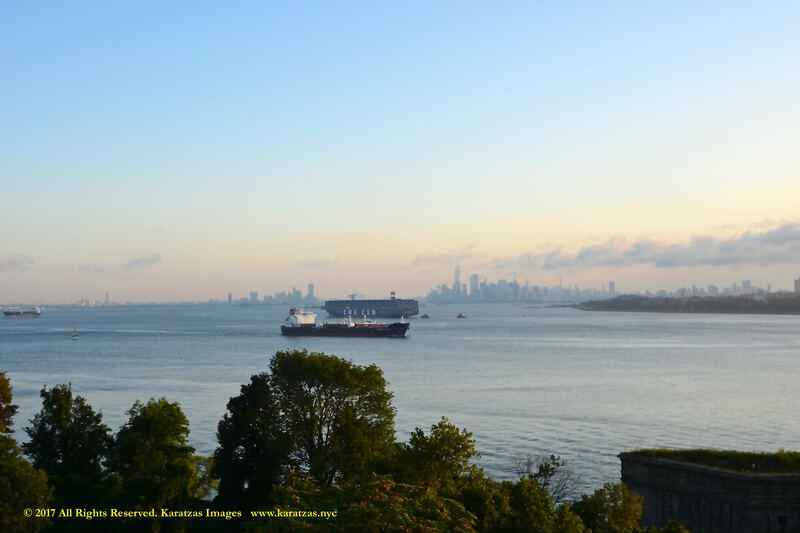 In mid-July 2017, the 13,2000-teu containership MV ‘OOCL Berlin’ was the first neo-panamax, and largest boxship until that time, to pass under the Bayonne Bridge. 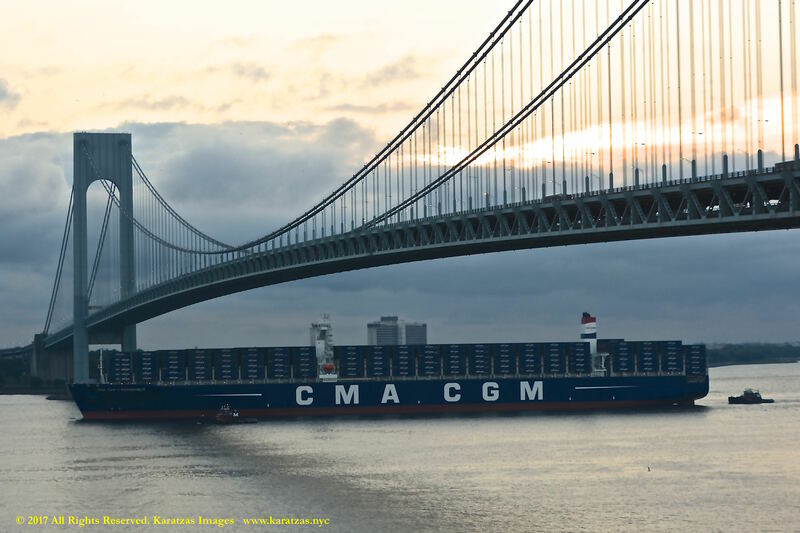 The Bayonne Bridge after almost five years of works, a budgeted cost of $1.3 billion for the project, had her roadway raised by 64 feet in order to allow new-panamax containerships to pass below; new airdraft 219.8 ft, 76.0 m. The Bayonne Bridge connects New Jersey and Staten Island (New York) over the Kill Van Kull Strait.